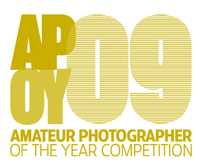 Gary McGhee, of Merseyside, has won first prize in our Plant Life round of APOY, winning a Canon EOS 1000D and Canonu2019s EF-S 60mm f/2.8 Macro USM lens, as well as a Canon Speedlite 270EX II flash, total kit worth u00a31,119.97. Gary McGhee, of Merseyside, has won first prize in our Plant Life round of APOY, winning a Canon EOS 1000D and Canon?s EF-S 60mm f/2.8 Macro USM lens, as well as a Canon Speedlite 270EX II flash, total kit worth £1,119.97. Gary, 41, who is a chemical worker in the organometallic industry, shoots mostly landscapes and was a bit intimidated by this round, he admits. 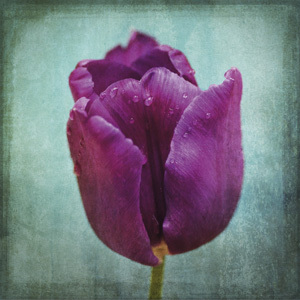 For this image, Gary placed a tulip in an old milk bottle on a table next to a window. 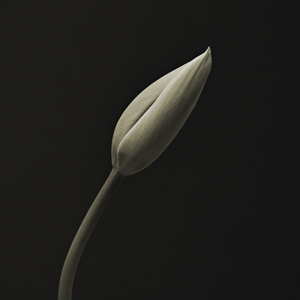 ?I then used a large sheet of black card behind the flower for a clean background,? he says. Gary used only the available window light and later made some Levels and Contrast adjustments on the computer before toning the image and cropping it to a square Judges say Gary has done a tremendous job. Less is more, as they say, and the simplicity of this image is what?s most striking – the clean black background and the subtlety of the tones. The quality is amazing. Second prize of a Canon Pixma Pro 9500 Mark II printer, worth £729, goes to James Rowland, of Kent. James, a 45-year-old graphic designer, has recently been making flower portraits ?with a twist?. He brought this tulip into his conservatory just after a shower of rain. ?I think the water drops really make the picture,? he says. ?I put a piece of coloured card behind the flower to add colour and remove distraction. Later he added a mask to give it a more textured look Judges say The colour is stunning, and the raindrops add interest to the petals. There are strong fine-art qualities to this very beautiful image. In third place, Andrew Hipperson, of London, will receive a Canon CanoScan LiDE 5600F scanner, worth £149. This shot by Andrew, 39, a product manager at a specialist computer board manufacturer, is his first competition entry. ?I shot this moss in my garden handheld,? he says. ?I like to use the Canon macro ring flash (MR-14EX) even if it?s bright because it means I can stop down to get a little more depth of field and have a relatively ?safe? shutter speed. 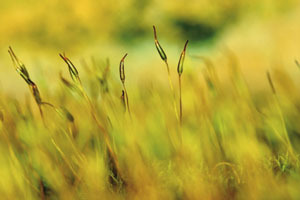 Judges say Wonderful colour and depth of field. If this is Andrew?s first competition entry, we expect he?ll have more success in the future. Be sure to catch the results of Round 5, H20, in AP 25 July, and our announcement of Round 6 in AP 4 July.